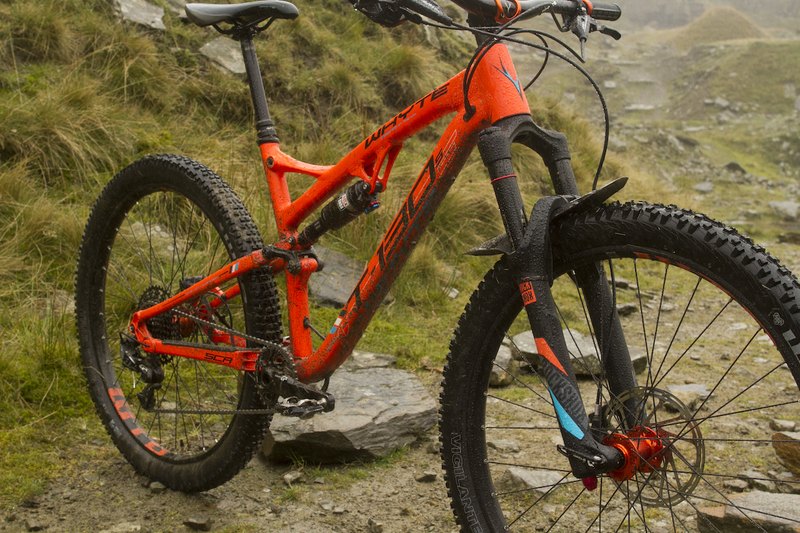 First unveiled for 2015, the T-130 has quickly gone on to establish itself as Whyte’s most popular full suspension mountain bike. And with more British riders turning away from purpose-built race machines and back towards shorter travel, do-it-all trail bikes, it stands to reason why the T-130 has captured the imagination of many. Occupying the same trail bike space as the 29in T-129, the T-130 features smaller 27.5in wheels, 130mm of travel and contemporary frame geometry. 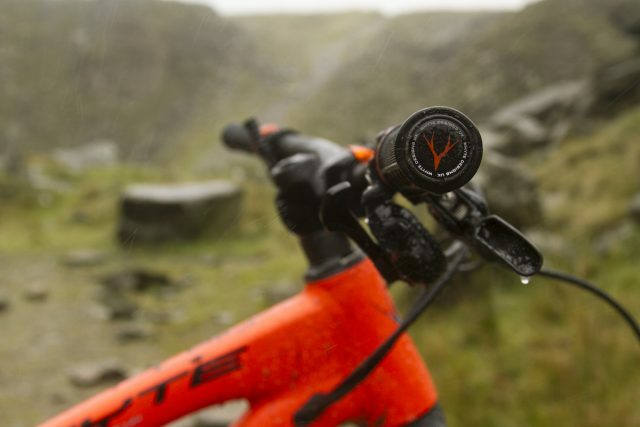 The T-130 is the most popular full suspension mountain bike from British brand Whyte. 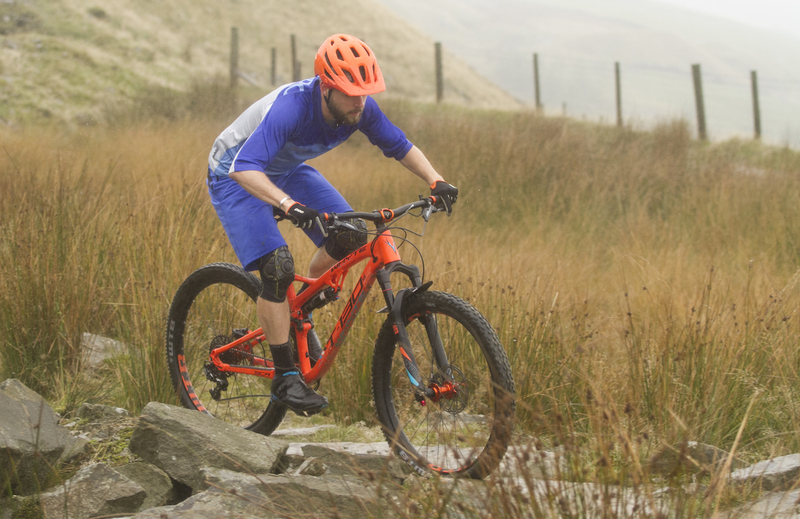 “The T130 redefines the do-anything mountain bike category and has reaped the perfect scores and bike of the year awards to prove it. 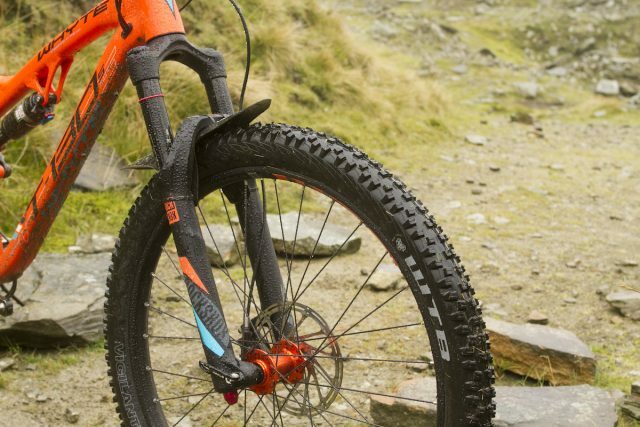 When we introduced our full stretch, maximum control Enduro geometry and stiff yet light carbon mainframe options to the T130 last year we pulled the pin on a truly explosive performance mix, that blew the competition off the trails. Light and efficient enough to hang with the fastest race crowd all day long and punch up climbs like an e-Bike. Tough and controlled enough to tackle the most brutal black runs. 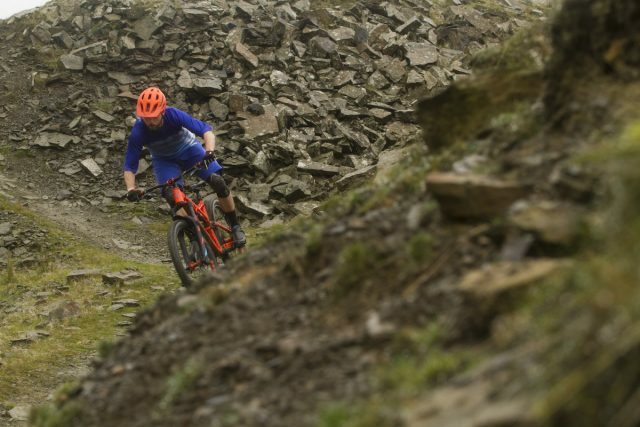 But most of all, so impeccably balanced, perfectly composed and blisteringly fast that it rewrote not just what you could expect from a 130mm Trail bike, but what you could expect from yourself” – Whyte Bikes. The 2017 Whyte T-130 S.
With 130mm of travel and 27.5in wheels, the T-130 is billed as a tough do-it-all trail bike. Despite its initial popularity, Whyte has since rolled out a revised version. 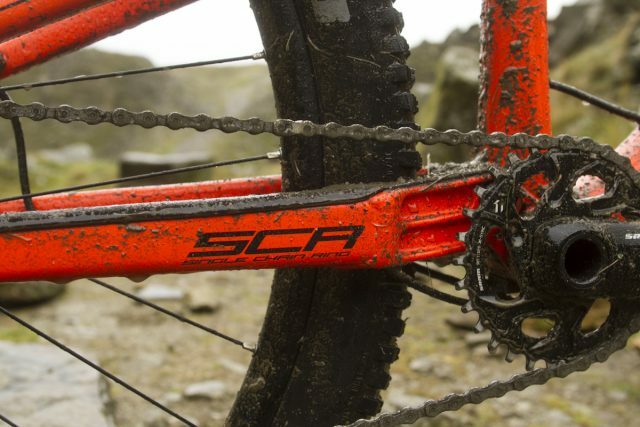 Aside from moving to Boost 148x12mm rear hub spacing, Whyte has also committed the new T-130 to 1×11 drivetrains only, employing its SCR (Single Chain Ring) design. 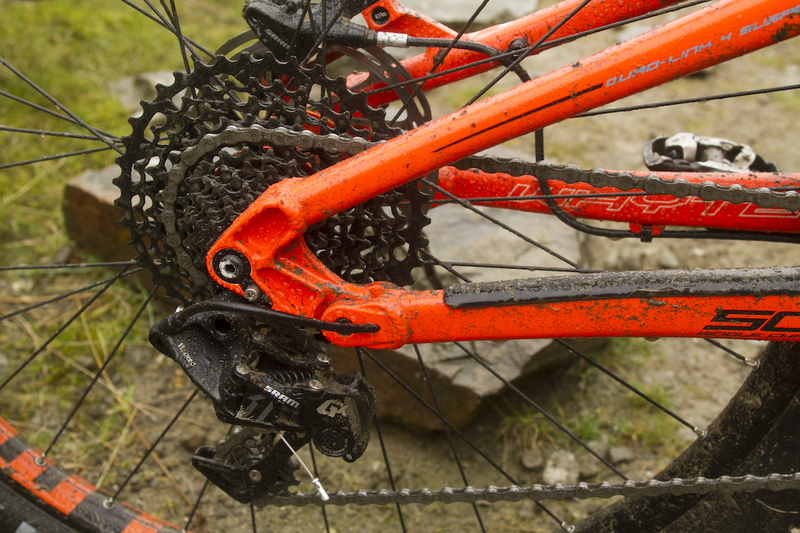 There is zero provision for a front derailleur on this frame, which has allowed Whyte to build in a wider, and, therefore, stiffer main pivot, while also increasing tyre clearance. Whyte has made a significant commitment to 1x specific frames. 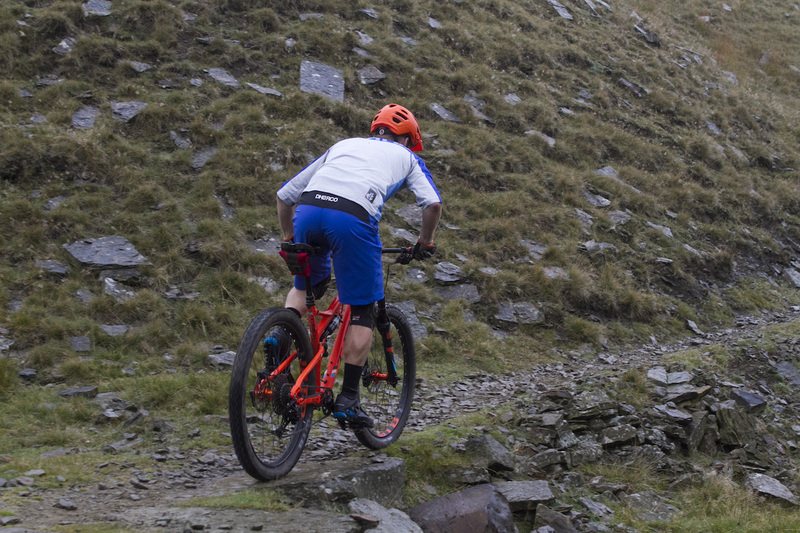 The SCR design offers increased stiffness, more tyre clearance and shorter chainstays. A horst-link suspension pivot makes up part of the Quad Link 4 suspension design. Sizing has also been altered on the latest T-130. As many British riders will know, Whyte has been a long-time proponent of progressive frame geometry. 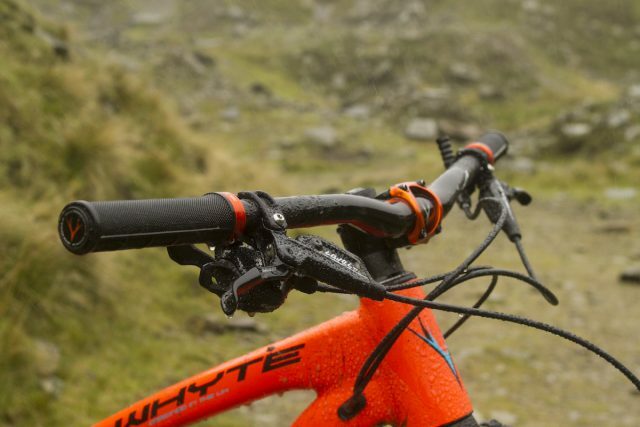 As an example, way back in 2012 (when 26in wheels and front derailleurs were still a thing), Whyte’s flagship 146 trail bike was running a 66° head angle, which was far slacker than its competitors at the time. 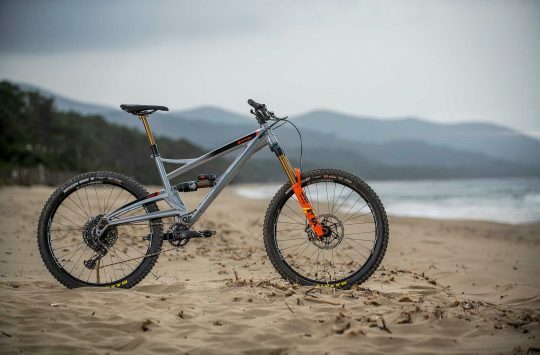 The shorter travel T-130 isn’t quite as slack, at 67°, but then the latest geometry progression from Whyte isn’t necessarily about making its bikes slacker, but longer. 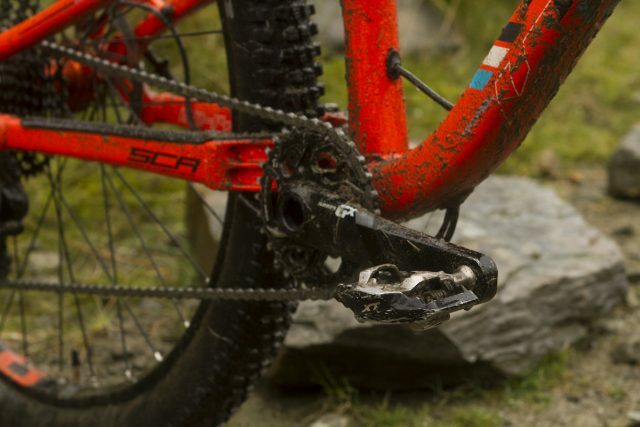 SRAM covers off stopping responsibilities on the T-130 S with the Level TL brakes. 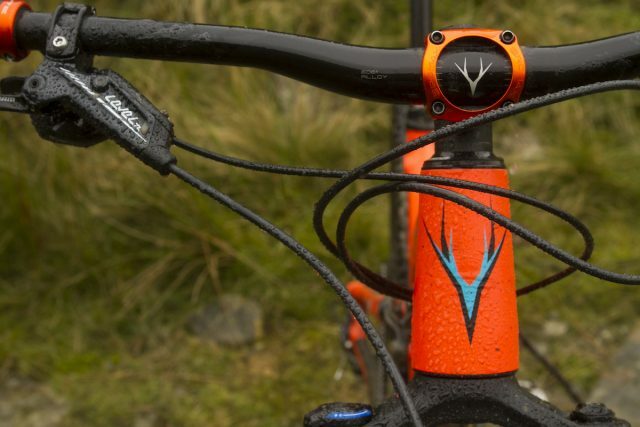 Whyte deliberately designs its trail bikes around short stems and wide bars. 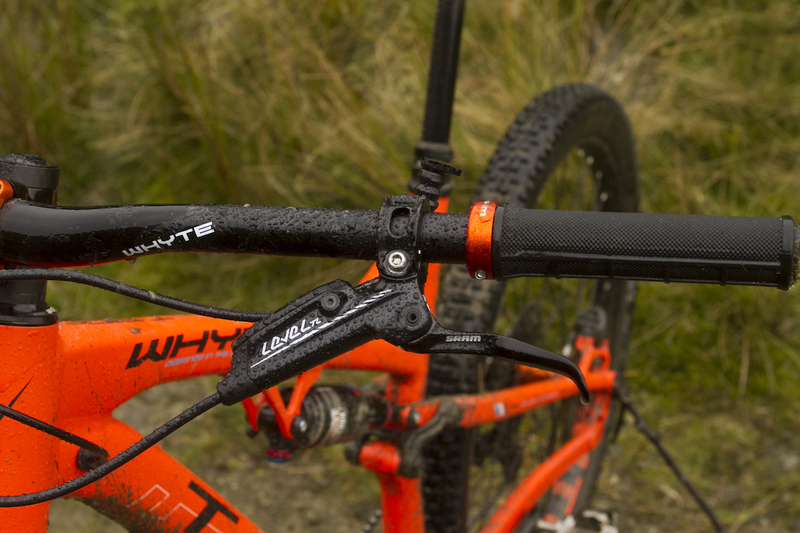 The T-130 S is lathered with Whyte’s own components, including the 760mm wide riser bars and lock-on grips. Details. Whyte specs a R/H reverb remote that sits underneath the left brake lever. There are five frame sizes for the new T-130, and each size has grown in its top tube length to produce a longer reach figure. Our Medium sized test bike runs a very generous 449mm reach, which is more akin to other brands’ Large (and even XL) frame sizes. The result is a huge 1,156mm wheelbase with an extended front centre, which places the wheel way out in front for masses of high-speed stability. 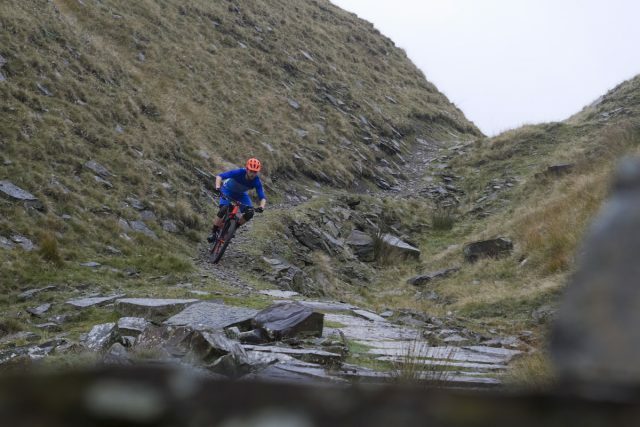 Being a trail bike, however, Whyte has been careful not to sacrifice the T-130’s agility. To this end, it’s rocking a compact 420mm rear centre to keep the back wheel tucked in against the bottom bracket. Up front, a short stem also helps to quicken up the steering, while the 760mm wide low-rise bars offer a comfortable riding position out of the box. 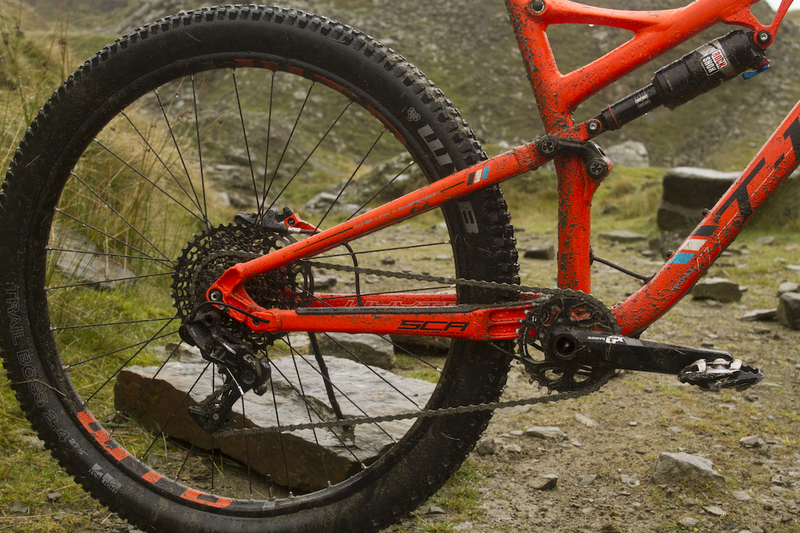 A huge 61mm stroke RockShox Monarch RT controls the 130mm of rear wheel travel. A stout Yari RC fork balances out front squish. 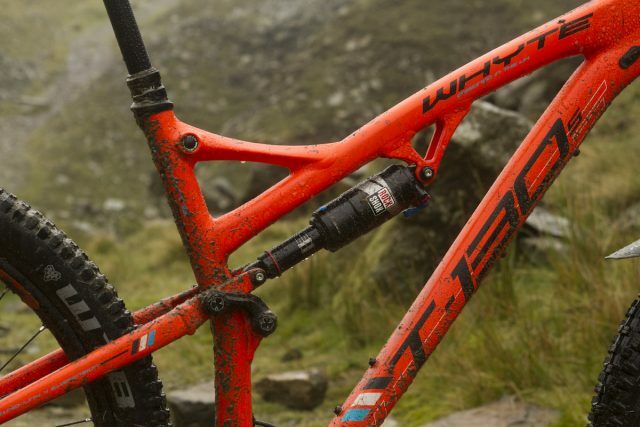 Whyte takes care of hubs on the T-130 S, which are properly sealed for British riding conditions. Wide rims for the T-130 S courtesy of WTB. Tubeless ready out of the box. The T-130 is available in carbon and alloy frame options, with six models to choose from in total. The T-130 S sits one up from the base model, and is value-packed with a parts spec that is absolutely dialled from the get-go. There’s a 1×11 drivetrain, wide tubeless rims, proper grippy rubber and a 150mm travel dropper post. A SRAM 1×11 GX drivetrain allows for decent climbing range with a 30t chainring and 10-42t cassette. 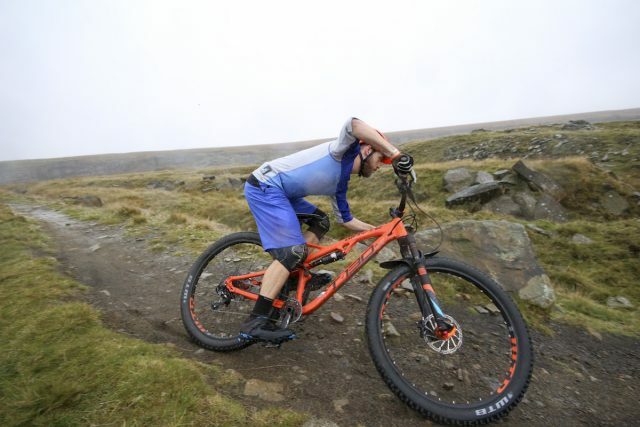 Whyte’s priority of durability and on-trail performance over chasing grams is, however, evident in the weight of the T-130 S. Coming in at 14.24kg (31.4lbs) on our scales, it’s certainly no lightweight. At over 14kg, the T-130 S is not a lightweight cross-country bike. 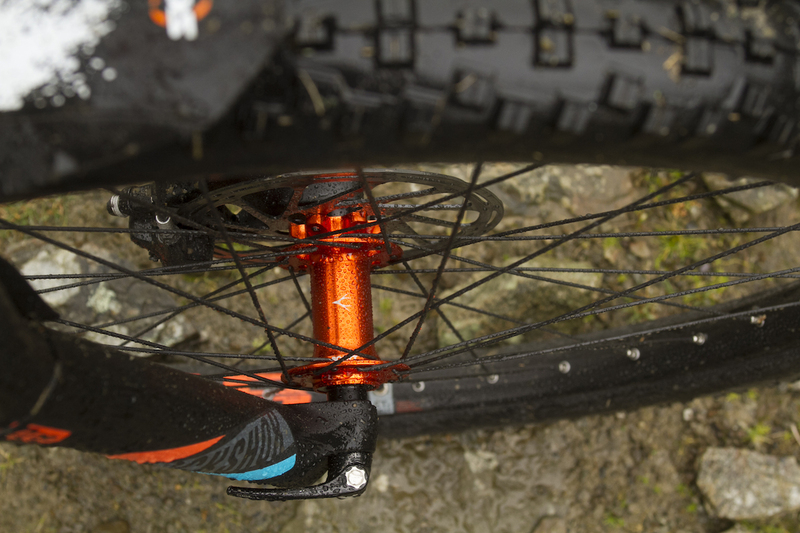 With sag gradients on both the fork and shock stanchions, setting up the T-130 is a cinch. For my 70kg riding weight, I’m running 63 psi in the fork for 25% sag, and 150 psi in the shock for 28% sag. This is a little more than Whyte recommends (25% for the rear shock), but the progression of the Quad Link 4 suspension design is so damn good, that despite having no problems accessing full travel nearly every ride, I have simply never felt the rear shock bottom out. Once. That said, heavier riders can add up to nine spacers inside the air can to increase progression as needed. Despite the burly spec and plush suspension though, the T-130 S pedals very well. The overall suspension feel is lovely and smooth. Like most four-bar suspension designs with a Horst link, the T-130 is thoroughly active and eats up square-edge hits like a champ. Much of this suppleness comes from the big DebonAir can on the Monarch shock, which uses a huge 63mm stroke to control the 130mm of rear wheel travel. The low overall leverage ratio means the shock is quite active, so making use of the blue compression lever is necessary for climbing up elevator trails. Use the Monarch RT’s blue compression lever to firm up the shock for longer out-of-the-saddle climbing efforts. The T-130 pedals fine, but alongside more complex multi-link designs, it does feel boggier when you leap out of the saddle to stamp on the pedals. Of course the overall weight plays a factor in this, and particularly when the WTB wheelset clocks in at 2.14kg. Remaining seated and spinning in circles seems, therefore, to be the best method for climbing progress. Cornering is the T-130’s forte. 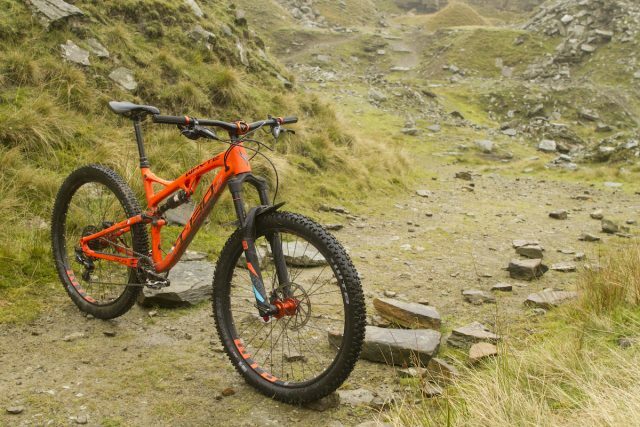 Realistically though, this is a trail bike with an appetite for gorging on the rough stuff. And in such conditions, the T-130 shines brighter than many bikes with more travel. The Yari fork up front deserves a special mention for its steadfast approach when copping off-camber rock hits, where its stout chassis and active stroke helps to swallow anything that ails it. 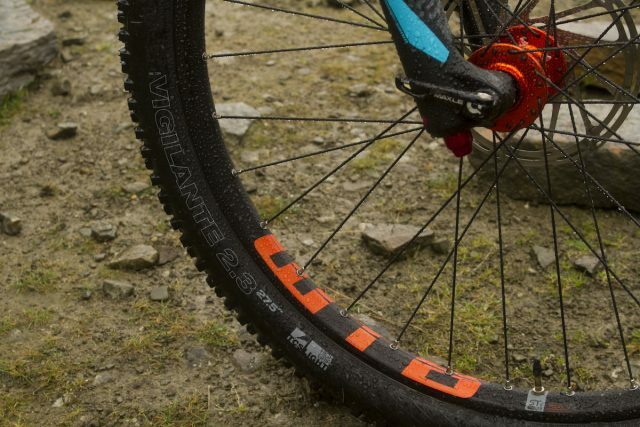 Along with the chubby WTB Vigilante tyre, there’s plenty of confidence-inspiring grip up front. Likewise, the active rear suspension design performs with consistency, regardless of impact amplitude or frequency, ensuring that both tyres remain stuck to the trail to deliver maximum traction in loose conditions. 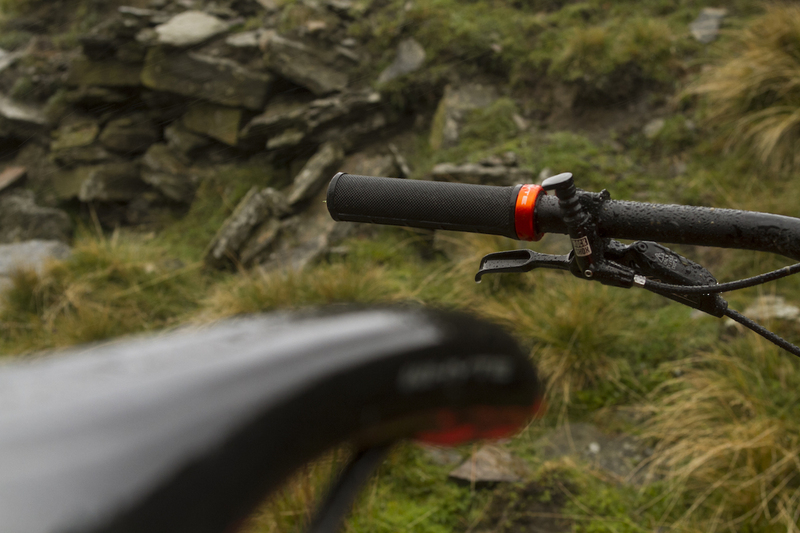 The compact 420mm chainstays help to whip the back end of the T-130 around tight corners with the greatest ease. Perhaps the T-130’s most glowing attribute, however, is that it feels big and stable when it needs to, but agile and poppy when you want it to. 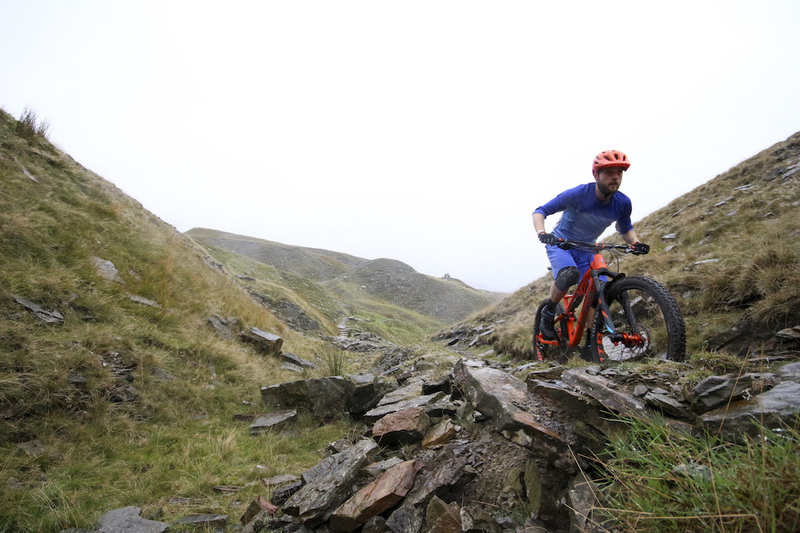 There’s no wallow to the rear shock’s mid-stroke, and the short back end encourages you to lean over and carve corners with the confidence that you’ll shoot back out of the apex. 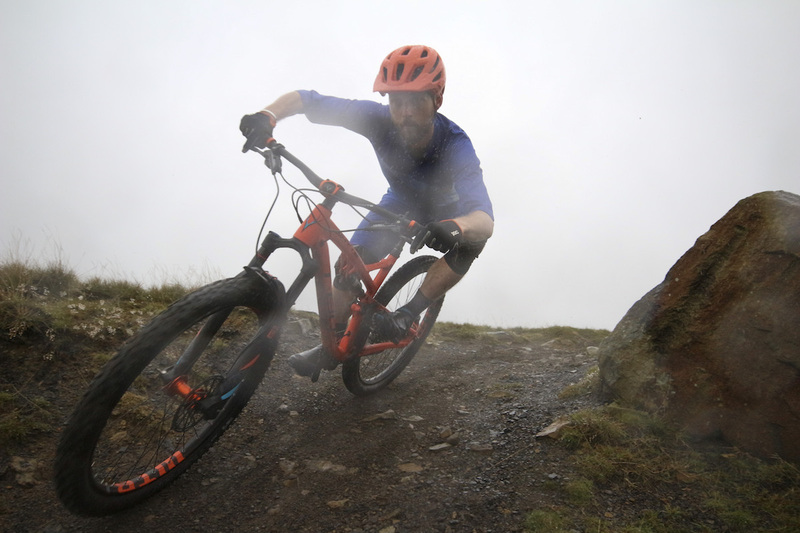 Popping the front wheel up is intuitive, and the playful T-130 doesn’t feel like you need to be a World Cup level rider hitting descents at warp speed to get the most out of it. With 130mm of supple suspension front & rear, the T-130 chassis gobbles up acute impacts with incredible control. Aside from wearing through both brake pads already, I’ve had few issues with the T-130. As the T-130 is a long-term test bike though, I’ll be compiling a durability report in the near future. There are also a few component changes I’ll be making over the coming months to see what other performance characteristics can be squeezed out of this burly alloy trail bike, so make sure you stay tuned to singletrackworld.com for updates. 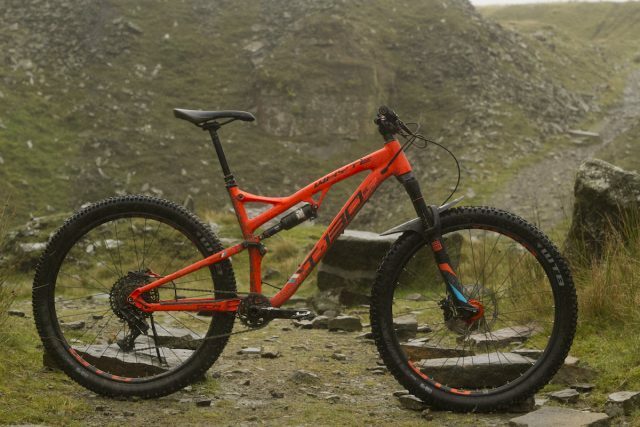 Whyte has got its finger on the pulse with the T-130; this is one dialled trail bike. The T-130 shows that Whyte very much has its finger on the pulse. 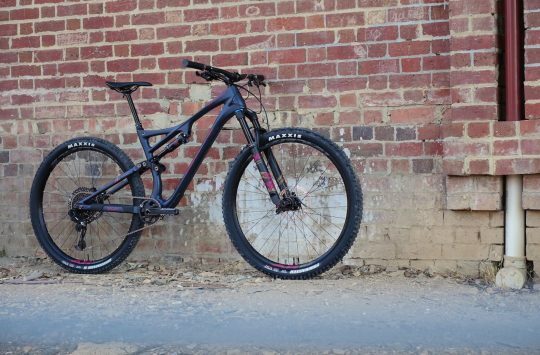 It features excellent geometry and suspension that carries it a lot further than a 130mm travel bike should go, and the well-chosen parts spec complements the frame’s capability well. 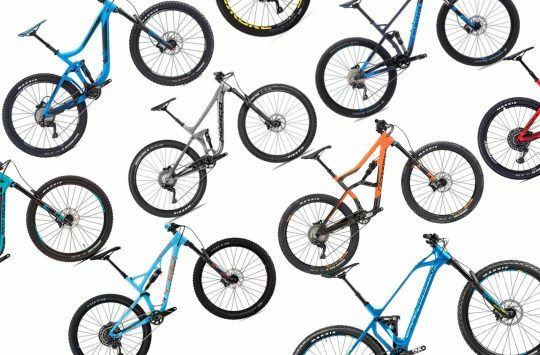 As more British mountain bikers look for alternatives to huge travel slacked-out enduro rigs and superlight and twitchy cross-country race hardtails, it’s no wonder that versatile trail bikes like the T-130 are enjoying quite the resurgence lately. Recommended. There’s room to upgrade and drop weight out of the T-130 S, but as it stands, this is one incredible riding package out of the box.